I’ve spent a lot of time recently with my friend Marc Gopin talking about a book on overcoming hatred that he wants to write. Not surprisingly, that led us to broader discussions about the Trump administration and other challenges facing peace and democracy. Perhaps more surprisingly, that led us to some of the issues we have each been raising about the broader connection between neuroscience and peacebuilding and how we should deal with political conflict in our own country and other places that we care about. 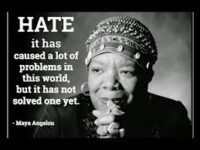 Although we didn’t talk about it, per se, we both take Maya Angelou’s point about hatred in the above image seriously. That starts with ourselves and how we can fall into traps in which we stereotype and even demonize the people we disagree with. Here are some first thoughts on these ideas. Emphasis on first. Marc is convinced that ingrained hatred underlies most intractable conflicts, including the division between left and right in the United States. More importantly, he is convinced that hatred can be overcome and that we can practice compassion instead. I’m not sure that I’d rank hatred as high on my list of problems as Marc does, but it’s certainly up there. And, we’ve known about its corrosive tendencies ever since psychologists and anthropologists stated talking about our tendency to put people into ingroups and outgroups fifty years or more ago. Since they, we’ve learned that while that tendency does seem to be part of our nature as humans, it is also subject to change. Whether in the work of scholars like Benedict Anderson who wrote about imagined communities or in the growing acceptance of “others” in our own communities, we knew that there are alternatives to hatred. What came out in my discussions with Marc isn’t simply that we have to help other stop hating (which, of course, we have to do) but how we engage in similar thought patterns ourselves. In particular, how can people I work with both object to what conservative governments around the world are doing and not into the trap of hating or demonizing them, which I fear we do a lot more than we would like to acknowledge? I’ve also spent a lot of time thinking about how our brains work and how, as AfP’s project puts it, we can “rewire” them away from dysfunctional attitudes like hatred and toward more constructive ones. Here, we’ve learned how our minds are more flexible or “plastic” than we used to think. In doing so, we might just begin to overcome our hatreds in the ways Marc would like. 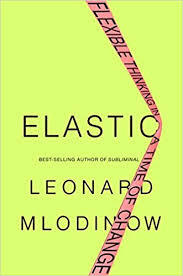 In the last few days, I also read Leonard Mlodinow’s new book, Elastic, which explores the link between having an open mind, stretching it (hence the term elastic), and developing creative new ideas for coping with the unprecedented problems the world faces today. Though a physicist by training, Mlodinow worked through a lot of research by social psychologists and others showing how people can (re)program their minds by “reconnecting the dots” of the facts and ideas that they work with. The real value of Mlodinow’s work here is that he directs his attention at his reader and (I presume) himself. How, in this case, do we engage in the kind of stereotypical thinking that both leads us to disparage our opponents and keep us locked into conventional ways of doing things. Mlodinow doesn’t suggest that doing so is easy. However, he also doesn’t get at something I’ve also been thinking about since I read Charles Duhigg’s The Power of Habit a few years ago. 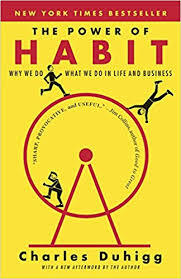 Duhigg—and dozens of others—have shown how easy it is to hold on to “bad habits” that lock us into those dysfunctional ways of doing things.This week, I went on to read the late Calestous Juma’s Innovation and its Enemies. He considers ten technological changes over the centuries and focuses on the ways people have resisted adopting them, often for reasons that had little or nothing to do with the technology itself. Duhigg, Juma, Mlodinow, and others focus on something we peacebuilders often include in the toolkit we offer others, but I’m increasingly convinced we need to pay attention to in ourselves. There are plenty of “bad habits” out there in the political world, many of which have been on display in the United States and beyond in the last few weeks. However, if I read these and other authors correctly, we should also be looking at our own “bad habits” and the hatreds and demonizing that they can lead to. It will not surprise many readers of this blog post that I did not agree with much of anything President Trump said during his recent trip to Europe or since he returned. However, I’ve also seen myself (and the people I work with) fall into the trap of demonizing the administration. Everything I know as a peacebuilder suggests that once we do so, we end up in the kinds of dead end situations Marc and so many other worry about. So, the challenge becomes how do I break my own habits that lead toward demonization if not hatred, and how do I practice compassion and work to resolve the policy issues that this administration seems to be ignoring—or worse. There’s little about what the current governments in Washington, London, Moscow, and beyond are doing that I like. The question is—what should I do about it? The habit to break is not being critical. Rather, it’s how to be critical. How do I reconnect the dots in ways that would appeal to Trump or Brexit voters? That starts by taking their concerns seriously and exploring alternatives to what the Trump administration or May government or Putin leadership are doing today. Finally, Marc got me to rethink agency and the choices I—or any other individual—make. In other words, it all boils down to me and what I can do. It is a truism in the peacebuilding world that I can never convince you that I’m right. What I can do is give you the tools that let you reconnect your dots. From what I learned one on one from Marc and vicariously from Mlodinow and Duhigg is that I can give you the tools that allow you to do so by becoming more elastic myself. The views and opinions expressed in this article are those of the author and do not necessarily reflect the official policy or position of the Alliance for Peacebuilding or its members.